Goat rescues and shelters. They aren’t as common as dog and cat rescues, but they exist. Finding a reputable goat rescue is a challenge at times, though. 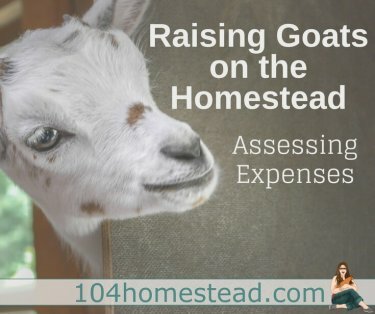 With goats not being as commonplace as house pets, some “rescues” take advantage of the eternal cuteness of goats to rack in the dough without truly helping the cause. There are some things you should be looking for when choosing a goat rescue to donate to or acquire a goat from. Please be aware, if you’re looking to adopt a goat, rescues are required to neuter all animals. 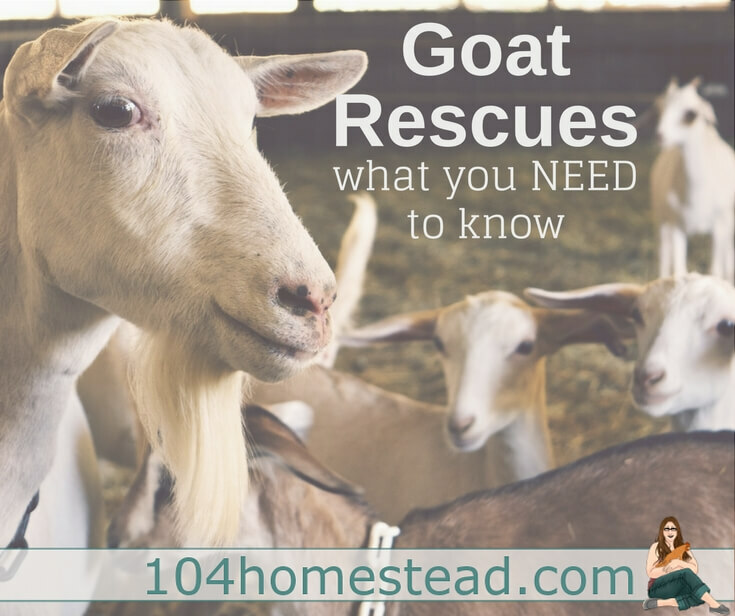 If you’re looking to buy a goat as a companion animal, a goat rescue is a great option. An animal rescue group is dedicated to pet adoption. Rescuing is only part of the process. If a facility is acting as a rescue and not a sanctuary, the animals need to be made available for adoption. Do not donate your money to someone who just wants to surround themselves with cute goats. Yes, this happens. As soon as an animal is made healthy, every effort should be made to rehome it. An animal rescue group must have a public information or education program to promote humane education. I don’t know about you, but I feel as though I treat my livestock pretty darn good. Many farmers and homesteaders do. I’d like to think the majority of the people who own goats treat them ethically and well. Maybe a small portion make mistakes merely because they don’t know what they’re doing (hey, I’ve got a whole section on the topic). Hopefully only a small portion are abusive and/or unethical by choice. Teaching the public how to identify a humane source for animals and/or animal products is so important. We need to show people that meat, dairy, eggs, etc. doesn’t just arrive at the grocery store magically. Animals can be raised with care and compassion, even if they are a food source. An animal rescue should maintain a high-level of professionalism and customer service at all times. This includes, but is not limited to, not informing small-scale farmers that they are naive or suggest they live in a disillusion bubble on social media. True story. Their purpose is not to sell their own beliefs, slamming others who don’t agree with them publicly. They should also have a zero tolerance for bullying on their public platforms. Allowing and even encouraging name calling and hate speech is far from professional. On August 28th, 2017, I saw in my Facebook feed a post from Goats of Anarchy. I was once a follower of theirs. Who doesn’t love to see stories of goats overcoming the odds? When I realized there was a very strong vegan crusade tone and it was an atmosphere of farm bashing, I unliked and unfollowed their page. Alas, some posts still sneak in. This particular one struck a cord. Since it was auto-shared from Instagram, I am embedding the original here. Today I joined @boochaces @freedomfarm_animalrescue and @afelice16 at a local livestock auction. It was without a doubt, the worst place I’ve ever been. Every animal was sick, stressed and terrified. There were dead bodies laying among the living like you see here. There were hundreds of motherless baby goats, lambs, piglets and calves. The animals were being whipped and kicked as they were auctioned. They were screaming, being trampled and being thrown around like garbage. There were cries of fear and agony. This is not a factory farm, but a local auction for small farmers. This is where “humane meat” comes from. What these babies will endure over the next couple of days is unimaginable torture. I think of all of our babies when I look at them. They are sweet, innocent and they want to live. This is where the baby boys from dairy farms end up because they cannot produce milk. This is where older moms end up because their bodies are used up. It is time to open our eyes and stop living with blinders on. Is this really worth your meat and dairy? Is it? I’m in no way supporting auctions. I feel people should meet the farmer and checkout where the animal was being raised, but things like this post perpetuate misleading information about small, humane farms. As a rescue and a not-for-profit, it’s your responsibility to teach the truth. I know you’re a vegan, but you can’t go around under the guise of a goat rescue, attacking people who have different views from your own. That’s exactly what you continue to do. Take action! In addition to donating to a worthy goat rescue, you can spread awareness about responsible farming. Small-scale farms, large-scale farms, and homesteads come in all varieties. There are good ones and not-good ones. Support the ethical farmers with your purchases. Puget Sound Goat Rescue is a 100% volunteer run, 501 (c)(3) registered charity. Each year, they rescue goats from a variety of situations where they are unwanted, mistreated, neglected or abused. The goats are cared for at the rescue until they are ready to be adopted to permanent, loving homes. Since its inception in 2001 they have rescued over 1,900 goats, averaging 200 per year in the last few years. Farm Sanctuary operates the country’s largest farm animal rescue and adoption network. Every year, they assist with urgent placement needs. Since 1986, nearly 3,000 needy farm animals have been given a new beginning — thanks to people who join their Farm Animal Adoption Network. Sanctuary One provides a safe home to rescued farm animals and house pets. Elderly, disabled, chronically ill, and emotionally traumatized animals who may never be adoptable receive personalized attention, loving rehabilitation, and a peaceful retirement. Happy Trails Farm Animal Sanctuary rescues, rehabilitates and re-homes criminally abused, neglected and abandoned farm animals. They work in cooperation with law enforcement and county humane organizations to provide services. They provide veterinary attention, nutrition, maintenance care, and nurture to each animal then network to find them loving and forever homes. Another option is 4H. They have an Ag Literacy program that teaches kids where their food comes from. If you can influence children, you can influence the future. If you know of a goat rescue that should be on our list, please comment below. I will research all suggestions and verify them before adding them. Thank you for this article. I have been on the fence about supporting G.O.A. as I follow them on Instagram and have been pretty irritated with the vegan soap box she frequently gets on and her constant asking for donations, despite having been featured in articles in publications such as USA today, People and the like. It just seems…off to me. We are homesteaders as well and I appreciate this article in that it leads a more seemingly honest discussion about rescues, homesteads and the like. This is a wonderful post. It is thoughtful, insightful, and offers up some wonderful suggestions for organizations that actually do what they say they do. One life at a time animal rescue in Pennsylvania. ? Thank you Lisa! I’ll take a look at them.